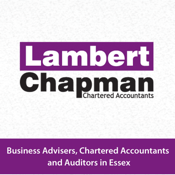 The Lambert Chapman Tax Tools Apps has an assortment of Tax Tools and Tax helps to help you through your personal and business taxation. 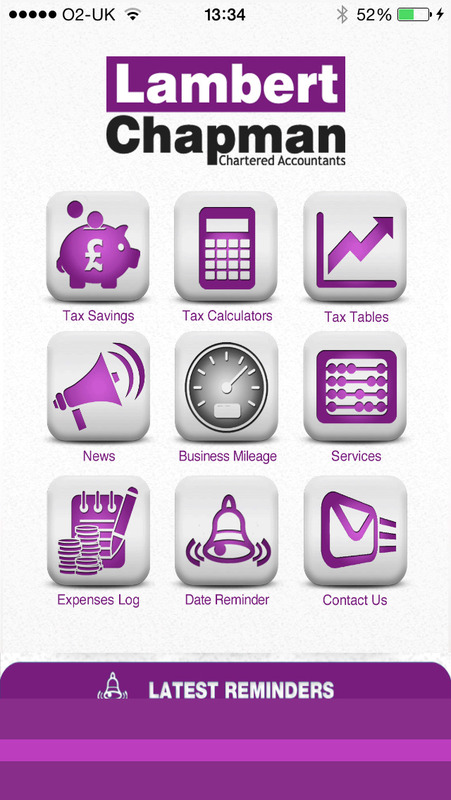 From measuring and recording your Business Mileage through the GPS tracker, to recording your daily expenses and emailing them to your accountant or accounts department and even the facility to enter important Tax Dates and have them constantly on the home page of the app. 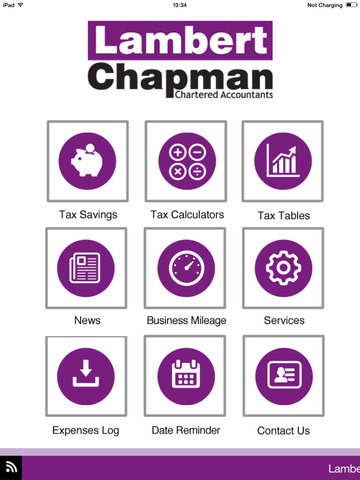 There are also several useful Tax Calculators, including Income Tax, Net to GrossIncome Tax, Capital Gains, VAT, Corporation Tax and several more. We have also included some of the most important Tax Tables for your reference - plenty of information right at your finger tips. 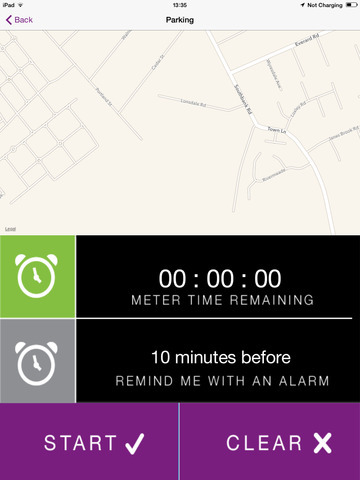 IMPORTANT: The business mileage logger uses the GPS to track your position and can work in the background. Continued use of this tool will drain your battery.